If you are struggling it means you haven’t quit – you are still fighting – you are refusing to give up until the change you want to see happens. 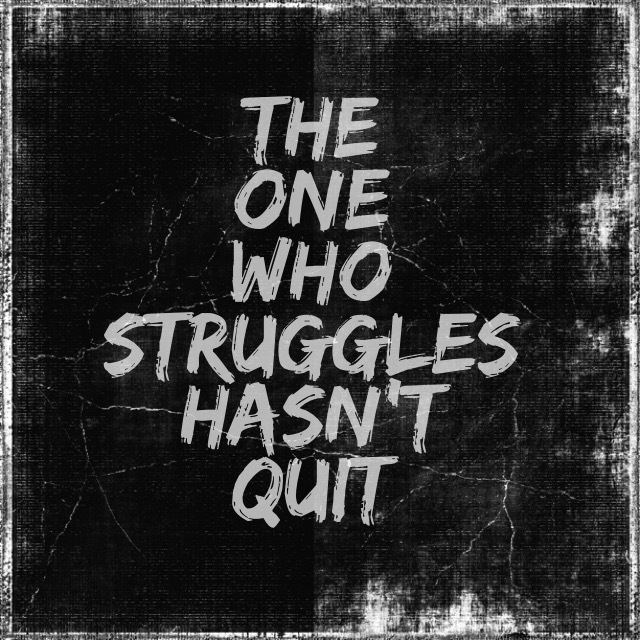 Struggle means that you are alive, have something to live for and it means you can still win! But if you are going to stay in the fight and continue until you overcome you are going to need fuel for the fight. When you identify your “why” you will have more fuel to fight. What is your purpose? What are you passionate about? What are you skills and expertise? Where do you add the most value to those around you? If you can answer these questions you are going to be on step closer to winning the struggle you are facing. The Bible says that without a vision people perish. One of the greatest all-time business leaders, Jack Welch said, “Good business leaders create a vision, articulate the vision, passionately own the vision and relentlessly drive it to completion.” Welch’s advice applies to us all. You must have a clear vision that you can easily explain. Without knowing what and where your target is you will never hit it. Then you have to passionately own and commit yourself to that vision. You have to be all in, to the end. When you are in the heat of battle you need others who are willing to stand by your side. You need people speaking words that propel your forward. The right people are those who are willing to tell you like it is, to speak the truth and hold you accountable. You need to surround yourself with others who want to see you win and help you get there. You have it within yourself to win. The struggle may be intense and seem like a mountain that is impossible to climb. But when you know your why, have a clear vision and are keeping the right company you will win the fight.